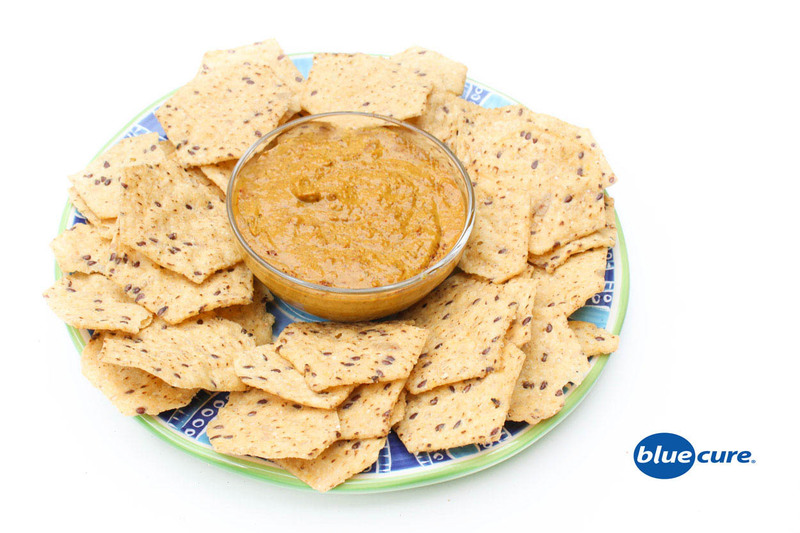 Nutritional yeast and cashews with a few spices make a very tasty dairy-free, cheeze sauce! Use it like queso dip or put it on baked potatoes, burritos, tacos, or even taco salads. Not familiar with Nutritional yeast? It’s not like yeast used in breads; so it won’t make your food rise. Nutritional yeast has a nutty and cheesy flavor, which is why it’s often used in dairy-free recipes to give it a cheesy taste. It’s rich in a number of B-vitamins, fiber, and plant- protein. Note: Nut allergies, swap in pumpkin seeds for the cashews. In a blender, combine the cashews, spices, nutritional yeast, and water. Start with 3/4 cup water and add more as needed. If you want a thicker dip, use less water. To make the cashew cheeze thinner, add more water. Add crushed red pepper or mix in salsa to make it spicy. Pour the cheese sauce in a bowl. Either heat it up for a few minutes or leave serve it at room temperature. Use with baked tortilla chips, tacos, burritos, baked potatoes, or as a salad dressing.